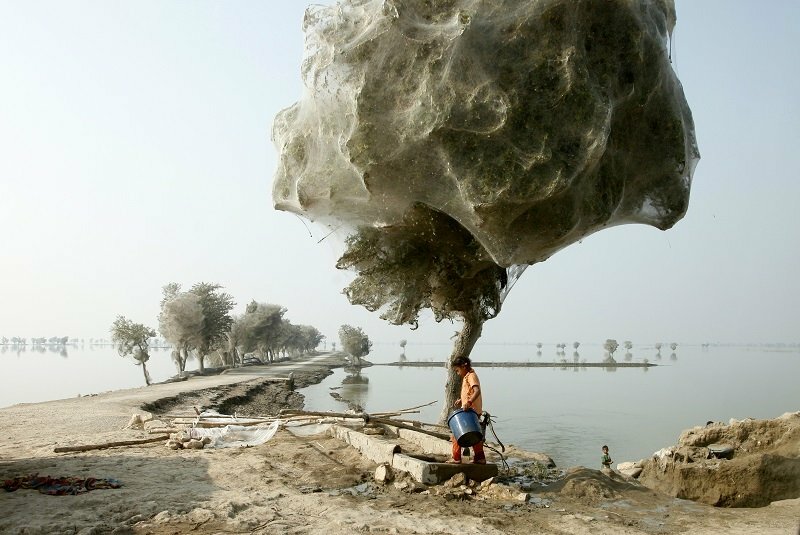 Following a 2010 Pakistani flooding, millions of spiders fled to the trees for shelter and spun thick webs, resulting in spectacular cocooned trees. 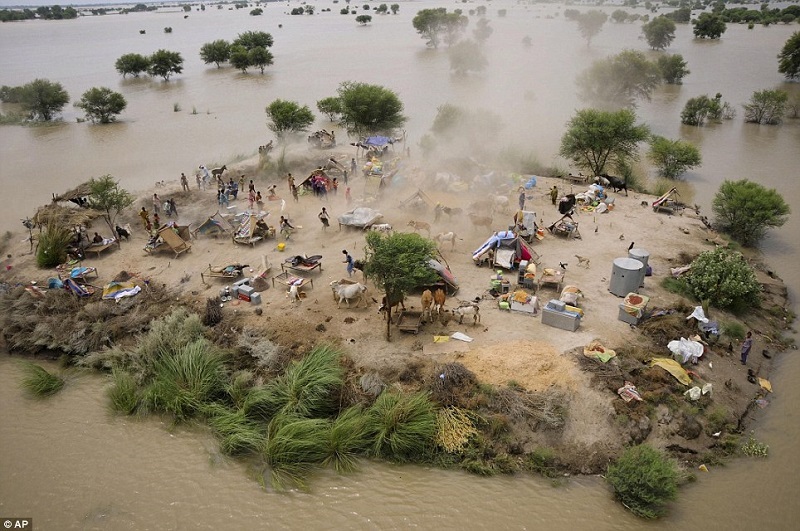 In 2010, ten years’ worth of rainfall poured onto Pakistani cities and villages in less than a week, completely ravaging the affected areas. While this flood was like others in many unfortunate ways–people were displaced, homes were ruined, rivers surged—one surprising consequence was entirely unique to the area. 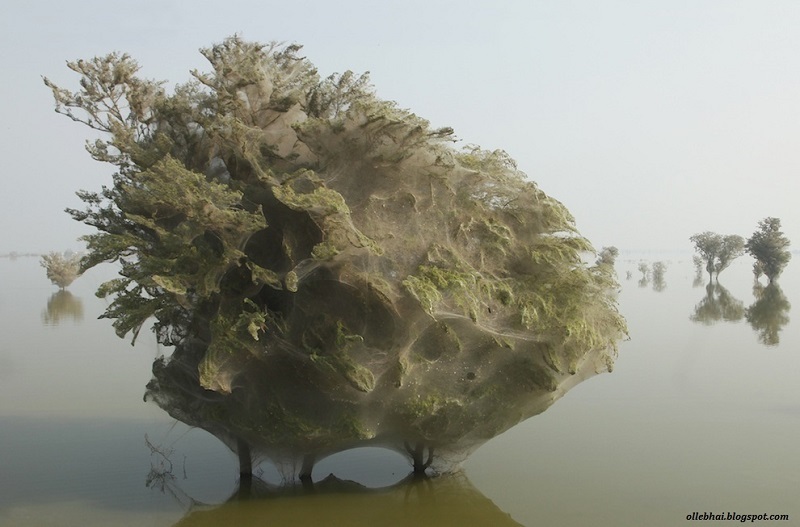 Once the rain stopped, people began noticing cocooned trees covered by sticky webs. 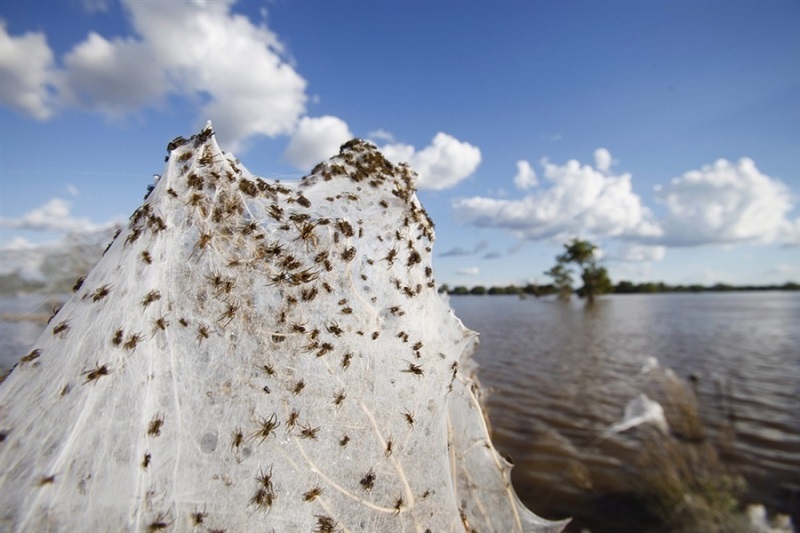 Since it took longer than usual for the water in the flooded areas to recede, high volumes of insects, spiders and other creatures were forced to seek shelter above ground. 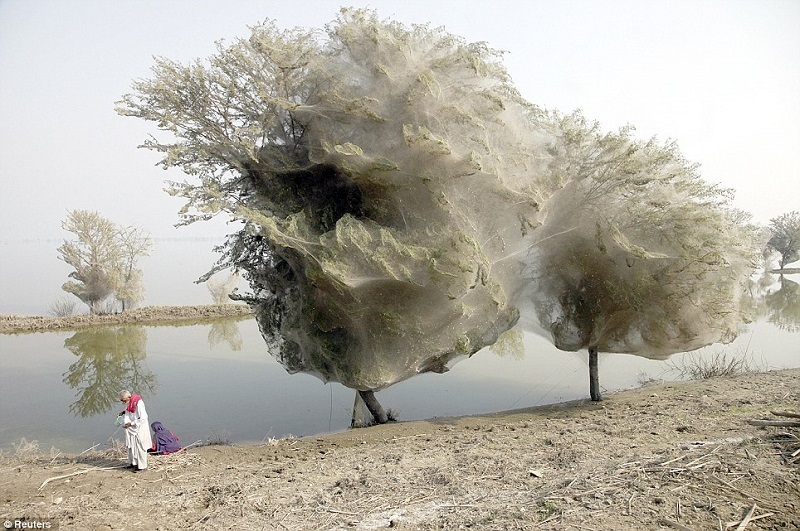 The result was a number of cocooned trees wrapped in spider webs so thick that they were visible from yards away. 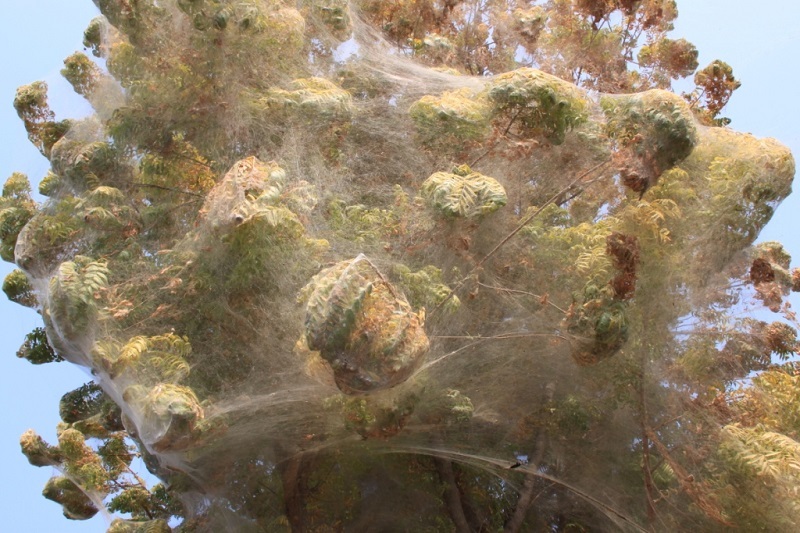 While eyewitnesses named spiders as the main culprit behind the cocooned trees, others believe that various insects (or possibly moth larvae) could have contributed to the swirling webs. Regardless of what species created the peculiar “cocoons”, pictures of them traveled quickly over the internet, with people calling the phenomenon incredible, bizarre and even terrifying. 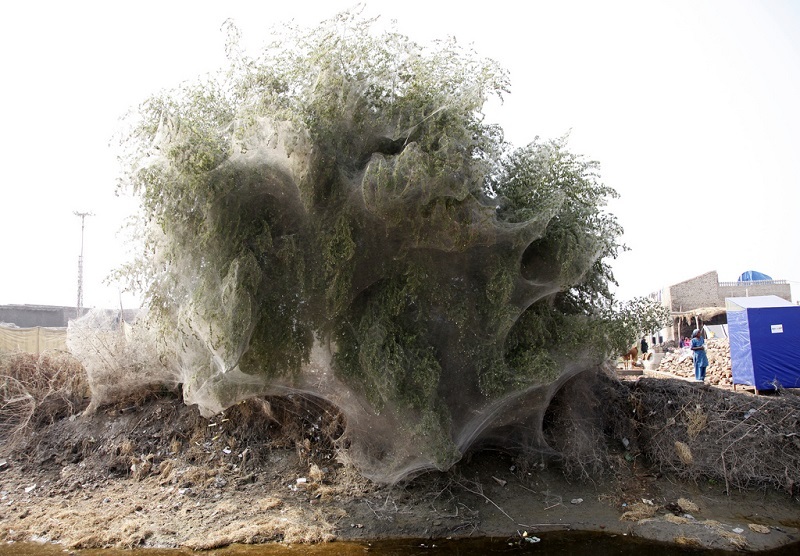 Although the thought of millions of spiders lurking on the branches of a tree might seem spooky, the presence of these spiders and their massive webs likely had a positive impact on the state of post-flood Pakistan. In areas where the cocooned trees were found, the number of malaria-carrying mosquitoes was significantly lower. 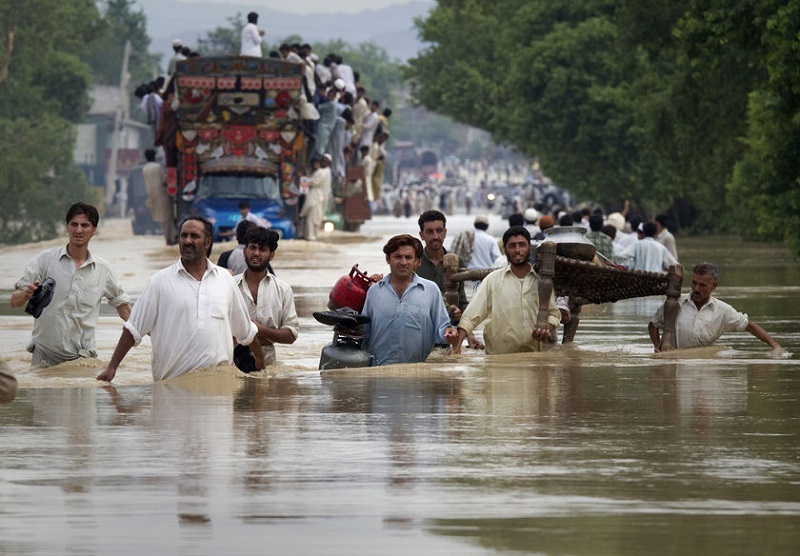 Residents in the Australian city of Wagga Wagga noted a similar phenomenon after a spring 2012 flood. 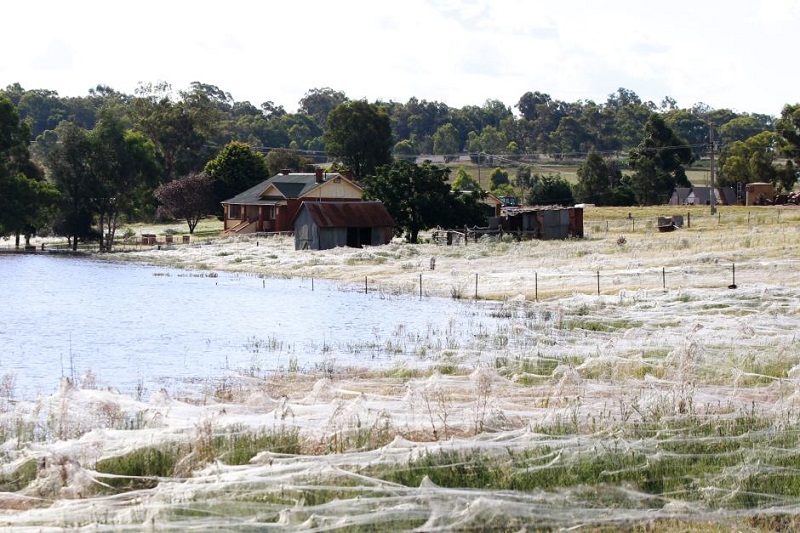 Here, the spiders covered fields and trees in a thick, white blanket of webs. 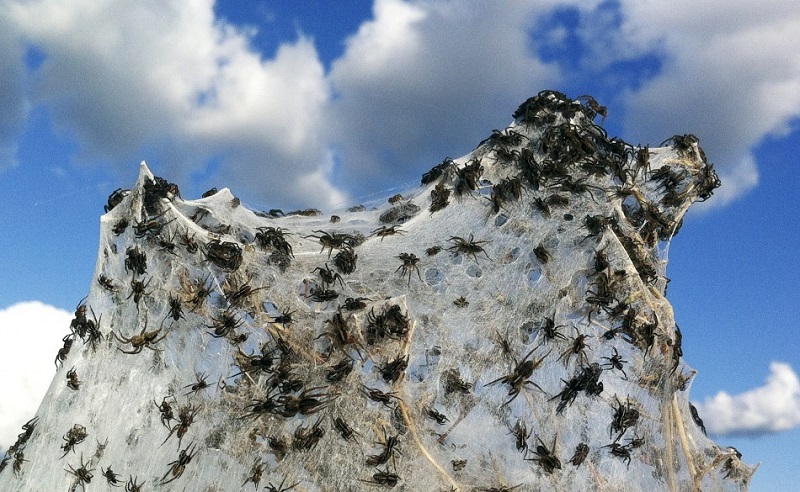 The spiders responsible for the webs in Wagga Wagga were from the Linyphiidae family and are known for releasing strands of web into the wind to move quickly, especially when in danger.